Netowork Security Savannah | Firewall Security | Infinity, Inc.
How Confident are You in your Network Security? Is it Keeping All the Bad Stuff Out? Are Your Employees Careful about What They Let In? 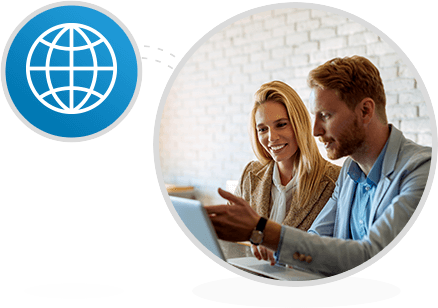 You need to know that your data is protected and that you have the hardware, software, and cyber-aware employees to keep it that way. It’s true that may have been good enough. Once upon a time. But it’s not fear-mongering to say times have changed. With the overwhelming number of hackers and malware bots out there now, the threat landscape has shifted. For example, the single hacker in a dark room is now a series of programs that creates nearly 5 million new phishing sites per month. And as phishing attempts get more sophisticated—being sent from legitimate email addresses, having fewer errors, and relying more on social engineering techniques—spam filters are not enough. Passwords can also bring down your network. Did you know that 76% of people use the SAME password for most, if not all, websites? So if you’re not prompting your employees to changes their passwords regularly, odds are high that they are using the same one on other websites. And those other websites could be getting breached, which puts your network at risk. We don’t find any merit in using scare tactics at Infinity. Reality is frightening enough, and being afraid doesn’t do anyone any good. We’re far more interested in educating and taking action. You’ve got a business to run with clients and employees to worry about. We’ll make sure it stays protected. 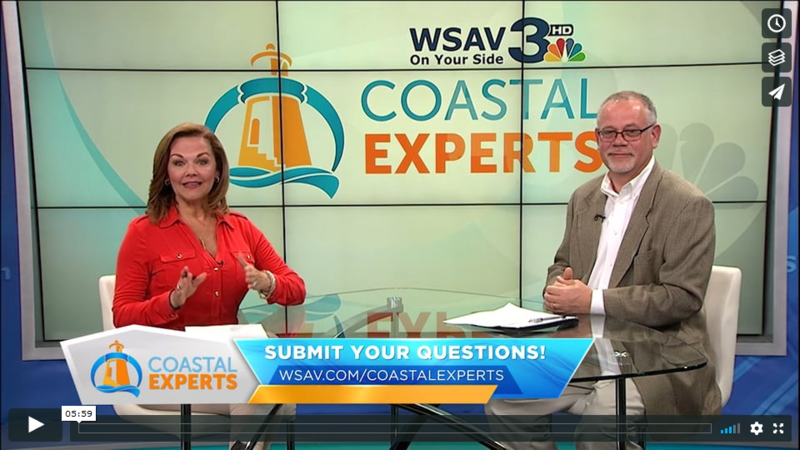 Watch our CEO discuss network security in this video from WSAV’s Coastal Experts. Jump to the 1:55 mark to hear about the importance of layered security. In the simplest terms: More layers means more time and effort hackers have to invest to get results. And more time and effort makes you a less attractive target. That’s why at Infinity, we put multiple layers in place for your protection. 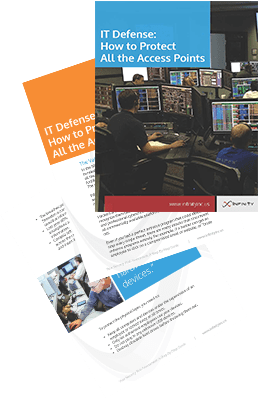 We created this IT Defense whitepaper to help you minimize risk by considering and then managing all the various access points in your network. Download it instantly – no forms to fill out. It’s on us! Security, like most technology-related topics, can seem overwhelming. But proper protection doesn’t have to be. Start with the 3 items listed below and ask your IT services provider how they’re being handled. You should feel confident that the basics are being covered. If they are, then move on to the password policies and training programs they have available. Or reach out to us. Monitor server drives and logs: Dangerously full server drives can cause many problems, ranging from program crashes to sluggish email delivery. Servers should be monitored and maintained regularly to avoid these problems. Similarly, built-in logs can reveal small issues. With regular monitoring, you will have a chance to prevent them from becoming bigger, harder-to-manage problems that can bring your systems down. Test your backups. Don’t find out when you need it most that your backup system is not working properly. It may seem like your data is being backed up normally, but check frequently that it is backing up the way it should be and that you can recover from it the way you expect to. In this age of BYOD, make sure all employees are also following procedures to backup data on their laptops, iPads, etc. You have a lot of options for keeping your business secure, and we know you need to stay focused on your clients and company goals. We can help.